The film, directed by Fede Alvarez (“Don’t Breathe”) is stylish and good looking, the performances are good and the production design works, but it devolves into style-over-substance confusion that meanders to a foregone conclusion. What began as a premise with a mysterious female computer sporting the titular tattoo – who also knows martial arts, weaponry and the chess game of staying one move ahead – has run out of steam as The Girl becomes a wrecking crew, who is invulnerable to being shot, drugged and generally beaten to a pulp. It’s pretty damn easy to stay one chess move ahead when you can drive a car like Jim Rockford after being drugged. The story begins with a flashback, to when The Girl (Claire Foy) and her sister (Sylvia Hoeks) are children with a bizarre Dad. The Girl escapes, but her sister stays behind and gets corrupted. In the present, The Girl finds herself caught in that past, and her journalist friend Mikael (Sverrir Gudnason) is going to help her out, as he did when they met in the first adventure. Her father was also involved in a shadowy crime syndicate named “The Spiders” (get it?) who now want to steal a nuclear war computer program named Firewall, invented by Frans Balder (Stephen Merchant). 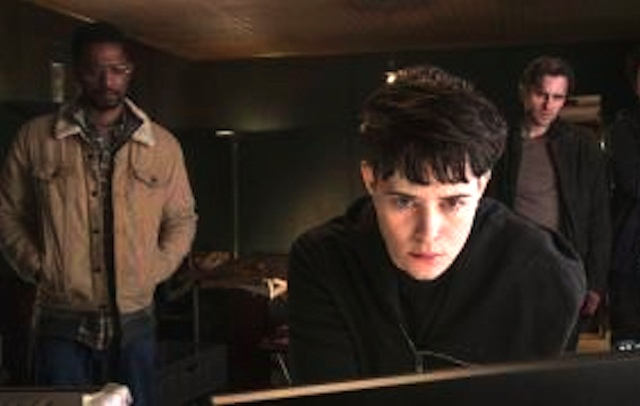 Frans naturally only trusts The Girl, and she must protect the program from the Swedish National Security, The Spiders (which now includes her sister) and an American NSA agent (LaKeith Stanfield). The story wants to be deeper than it is, which is maddening. It’s also rooted in a heinous situation with her father, which is so outrageously high concept that the authorities should have intervened years earlier. This scar between The Girl and her sister is the underlying thread in their separation and eventual coming together, but it’s too damn sick and unbelievable. It establishes a bad taste from the beginning, and the story never recovers. The performances were good, I enjoyed watching Stephen Merchant (“Hello Ladies”) as the scientist caught in the web. LaKeith Stanfield (“Sorry to Bother You”) was steady as the American agent, but his role was underwritten and had holes all over it. Claire Foy was better than Mara as The Girl, it’s unfortunate she was saddled with a lesser story. This was a case in which the cast uplifted the bullet riddled narrative, but it wasn’t enough to allow all boats to rise. Director Fede Alvarez had a sense of atmosphere, and did guide some pretty decent action sequences (there is a chase that has The Girl riding her motorcycle over a frozen Swedish river, how cool is that?). His style was a substitute for the substance, but like the cast it wasn’t enough. The formula has been set for “The Girl…” series, and the sense of her mystery lends itself to electric cinematic creation. Get the story connected and maybe they’ll have something. 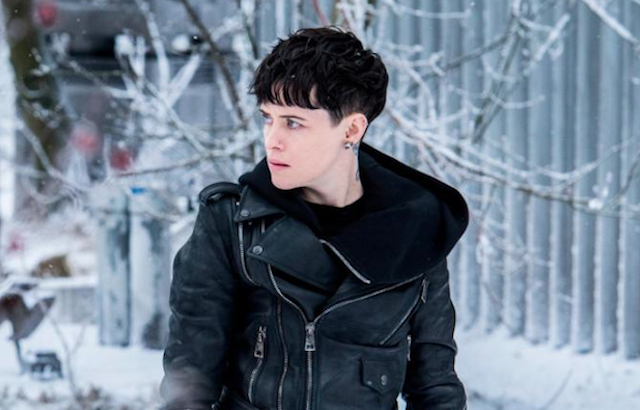 Is it me, or does the “Dragon Tattoo” get fancier with every new sequel? By the time they get through all the potential stories, that tattoo will be more dragon than girl skin. Bring that up at your next movie club meeting.